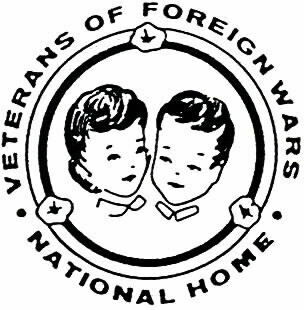 The VFW National Home for Children, located in Eaton Rapids, Michigan, is a private, non-profit, residential child care agency providing long and short term residency to children and grandchildren of VFW and Ladies Auxiliary members. The National Home is licensed as a child care facility by the State of Michigan. The Home is affiliated with the National Association of Homes and Services for Children, Michigan Association of Children's Alliances, and Michigan Nonprofit Forum. Children and grandchildren of VFW and Ladies Auxiliary members whose parents are deceased, disabled, or in a situation where they cannot provide needed care are eligible for residence. Ages include preschool to young adult who are referred by VFW Posts and Auxiliaries, state and county court systems, state child welfare systems, and individuals. The National Home also accepts eligible single parent families in need of a goal-defined program. The foundation of this community is built on the promotion of sound moral values, respect for our country, spiritual growth, community involvement, personal responsibility, educational achievement and self-worth. It is because of these values that the National Home will continue to exist for many years to come.